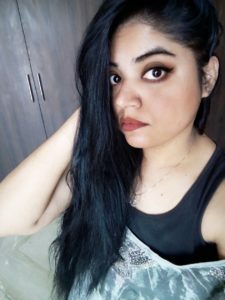 The most common Korean beauty trend which hit the Indian market a while ago, are sheet masks, hyped as the common miracle masks which give your skin instant glow and impart abundant goodness to it. Let us see how far these claims are true and should you invest any penny on these masks or not. Direction of use: The best way to use a sheet mask is to clean your face and remove any prior residue on it and then apply the sheet mask such that the indents on the mask fit your facial features. 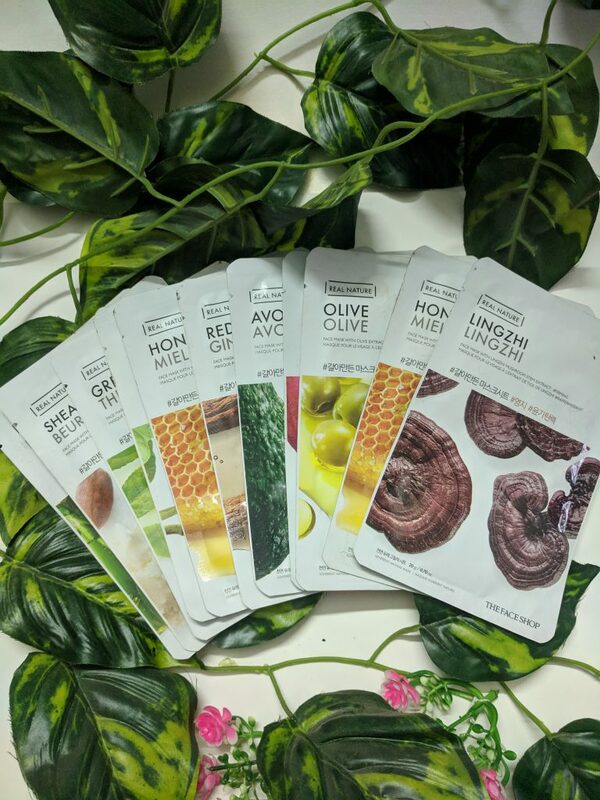 The Face shop sheet masks have a good shape and size and would nicely fit almost all face shapes and sizes and is not too big either. Smooth the surface of the mask around the curves of the face so that it sits on the face perfectly. Keep it on for 15 – 20 minutes and remove afterwards. Use your palm and fingers to massage the leftover serum on your skin so that it gets absorbed back in the skin. According to me, sheet masks are best used during the night time. 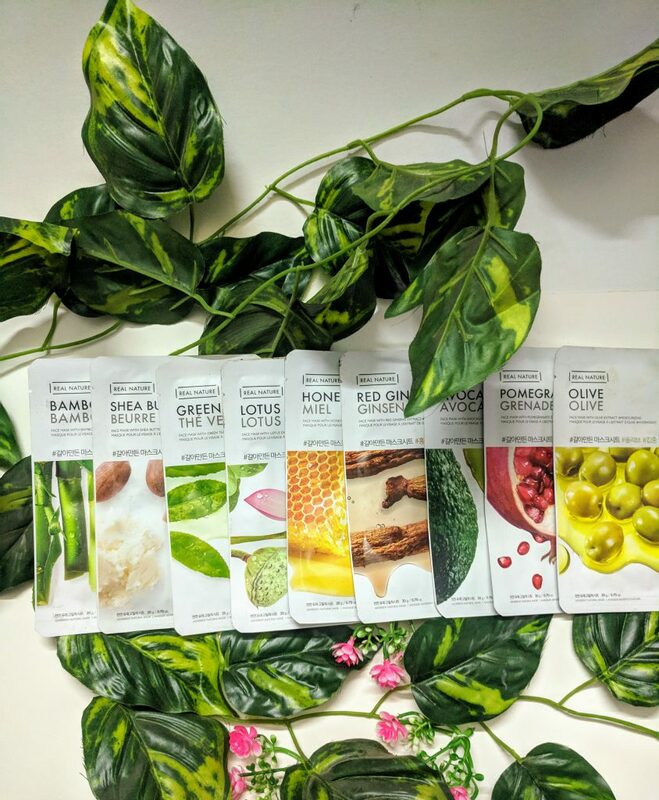 Packaging: Each sheet mask comes packed in a plastic paper, individually. You need to tear off the top of the cover and extract the sheet mask, which is composed of fibrous cotton material. 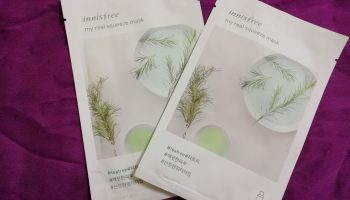 My opinion about the product: The Face Shop Real Nature Sheet masks are really affordable when it comes to trying out the K beauty trend. You can find them on offer at most times across e commerce platforms. 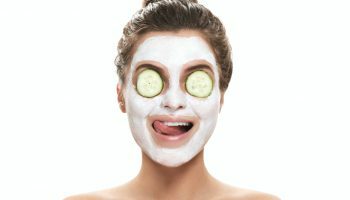 However, there are a few facts about sheet masks, which make it a very expensive skin care habit. 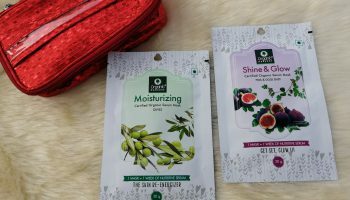 As such, these sheet masks are replete with abundance of good ingredients, which allow them to impart the desired output to your skin. 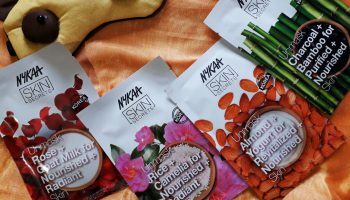 these sheet masks are divided across different categories, according to the benefit that they impart for the skin. Thus, they could be firming, moisturizing, brightening, lightening and more. You should choose a sheet mask according to the needs of your skin. For example, if you face a problem with pores on your skin, you should go for a sheet mask which tackles pore problem, such as mung bean mask. Similarly, in order to give your skin nourishment, go for something like shea butter masks and so on. What you need to know about sheet masking is that it can give you desirable results, only with regular use. You cannot expect to use it once in a month and get instant results. Also, results last only for a short while, with no long term impact. 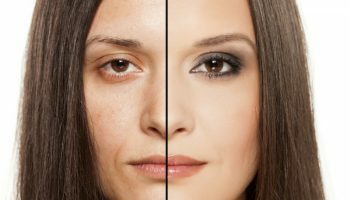 Keeping this in mind, sheet masking can turn out to be a very expensive skin care habit for some. Also, ideally, these masks should be used at night time only because the serum takes a lot of time to absorb in the skin after removing the mask, and tends to make the skin feel heavy. Do not use the mask beyond its shelf life, since it can give you some serious breakouts. Average size of mask, easy to fit. 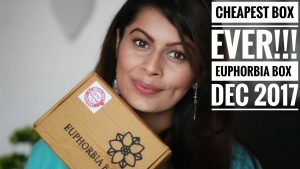 Skin friendly ingredients and mask material. Economic but expensive in the long run.